Ok people, now I know how everyone loves their morning latte, or mid-day or afternoon, or all day long coffee drinks, but would you like to know how to make or order them yourself so you are not drinking acidic beverages all the time? Coffee is acidic. I don't care which day of the week it is or if the Today show is reporting tomorrow that there is a new study about the health benefits of coffee. Overall, it is not a good idea to drink coffee. It is not a good idea to drink (or eat) acidic foods or drinks at all! When I say acidic I am not talking about lemons. I'm talking about the pH they affect in your body. Coffee is nearly as acidic as soda and soda is the worst thing you could drink. What type of damage are we talking here? Damage to the lining of your GI tract, unbalanced stomach and digestive juices, indigestion, bloating and more. So if you still love a latte here and there, there is a way to order or make them so you are still being healthy and not ruining your gut. Ask the server what type of n0n-dairy milk they have: you don't want to be drinking milk from a cow either, milk = sugar and sugar is acidic. Choose coconut, or almond. If you are in a healthy cafe where they might have other options like hemp, rice, flax or quinoa milk, then go for whichever you prefer! Avoid the coffee if possible. But if you must have it, then just have some of your favorite brew and add steamed non-dairy milk to it. 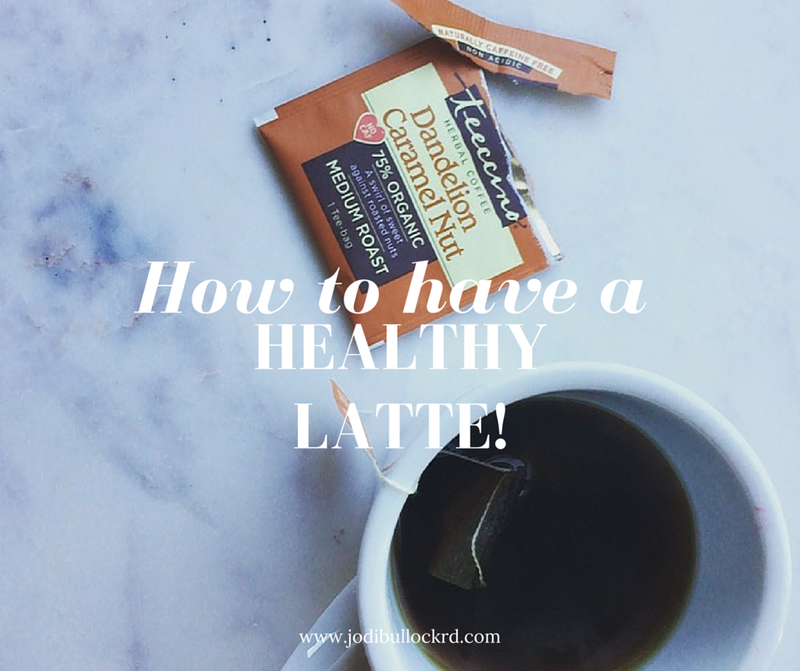 Choose a tea bag and have them add steamed coconut or almond milk to it and there you go: a healthy tea latte. I personally love vanilla roobios tea bags; chai; green tea or some variety of peach green tea. Carry stevia with you: if you like it more sweet, then bring your little bottle or organic liquid stevia with you and add a drop or two to your beverage. I haven't seen anyone carry stevia (yet) in the shops around here. Then it's even easier!! You are in control again! You could choose the alkaline tea (that tastes like coffee) in my picture above, your own tea bag, or another alkaline coffee. Teeccino is a brand of alkaline,decaf tea that tastes like coffee, and comes in a variety of flavors. You can get the grounds and brew it in a coffee pot, or you can get it in tea bag form. Buy alkaline coffee: I love Genesis Pure Cafe Mocha, it's alkaline, it comes in to-go packs, it can be brewed hot or cold and tastes amazing with organic essential peppermint oil. Starbucks carries coconut milk now - choose this not soy! You can always ask your local shop to start carrying other non-dairy milks and encourage them to create more options with those. Even though Starbucks and Caribou have these options, I don't know what kind it is....meaning, is it unsweetened? Does it have added sugar? Does it have carageenan? You really don't know unless you ask, so start asking!